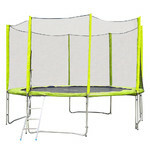 Durable safety net, reinforced Heavy-Duty construction, extra bouncy jumping mat, high-quality galvanized springs, ladder, diameter: 366cm. 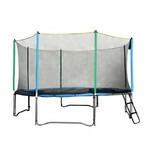 Trampoline Set inSPORTline Froggy PRO 366cm is delivered together with a safety net and ladder. 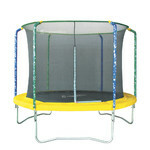 Trampoline sets Frogy represent new generation inSPORTline trampolines designed according to the strictest safety norms, consisting of top quality and precisely processed components only. 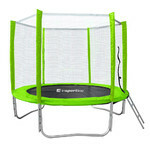 The construction and jumping mat are made of pre-tested high-quality materials, making inSPORTline trampolines top class products in this category. The smart design of the construction which contains many safety features and super bouncy and highly durable jumping mat ensures comfortable use. 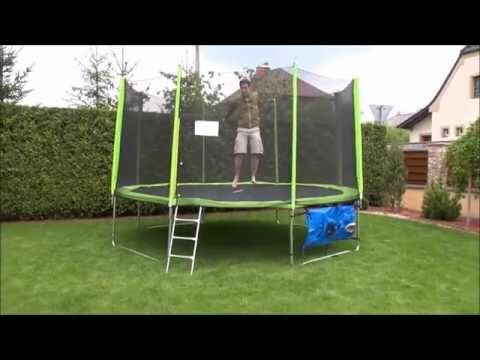 To provide maximum safety and performance, Trampoline Set inSPORTline Froggy PRO 366cm is certified in accordance with strict EN-71 safety norms of German TÜV NORD and ASTM International testing laboratories. 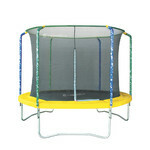 With corrosion-resistant galvanized springs with Super-High technology, highly durable Heavy-Duty frame and super-bouncy jumping mat developed in USA Trampoline Set inSPORTline Froggy PRO 366cm can be ranked among the best and top-quality products, suitable for both outdoor and indoor use. 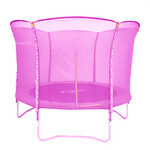 To protect users from falling off the jumping area the safety net is also included. 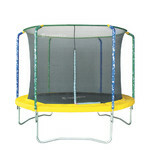 Trampolines of inSPORTline brand sold all over the world provide maximum safety and quality. After many years of experience with selling trampolines we produce the highest-quality materials resistant to extreme conditions, offering our customers the best performance.